The Democratic Union Party (PYD) was founded on September 20, 2003, and considered as a branch of the Kurdistan Workers Party (PKK) that was established on November 27, 1978, where the latter held its founding conference in Qandil Mountains (the redoubt of the PKK). The Establishment of the PYD took place after many procedures that the PKK conducted with respect to its policy and political project, whereby the term “PKK” has witnessed many changes as follows: in 2000 its name became “Congress for Freedom and Democracy in Kurdistan” (KADEK), in 2003 its name changed to “Kurdistan People’s Congress” (KONGIRA GEL), in 2005 the name has also changed into “Peoples' Confederation of Kurdistan” (KKK) and kept KONGIRA GEL as a legislative body. However, the old name of the Kurdish party “PKK” has been adopted again since 2005 and became a member in the KKK along with other parties such as the PYD-Syria, the Kurdistan Democratic Solution Party in Iraq, and the Kurdistan Free Life Party in Iran. In 2007, the KKK has changed its name to “the Kurdistan Communities Union” (KCK). The establishment of the PYD in Syria is an attempt to circumvent the U.S and Europe categorization the PKK as a terrorist group rather than being a reforming step. Moreover, the PKK changed its demand with regards to having a Kurdish State into the establishment of a self-governed administration in Turkey, Iran, Iraq, and Syria thus, the Kurdish party has abandoned its national demand that started 25 years ago. PYD has remained attached to the PKK at the practical level despite the presence of Syrian leadership within the PYD. Furthermore, Syrian Kurds did not have any prominent role in leading the PKK or even the PYD in spite of the presence of many leading characters within the PKK, who had a weak influence on the decision-making such as Bahoz Erdal, a former member and commander in the PKK, Nour Al Deen Soufi, the current commander in the PKK, Rustem Cudi, member of the political committee in the PKK who was assassinated by a Turkish air raid in 2011. The weak influence of Syrian Kurds can be attributed to the late participation in the PKK’s ranks that took place after four years and the current dominating characters in the Kurdish party are from those who founded or had an early affiliation to the PKK, also, the absence of Syrian Kurds’ role can be related to the Turkish Kurds’ desire of keeping them away from the decision-making positions especially, during the 1990s because the PKK did not seek any provocation towards the Syrian regime who used to be the main ally for the Kurdish party, knowing that, most of the Syrian Kurdish leaderships did not have cordial relationship with the Syrian regime that time. Since its establishment until now, PYD has held 7 conferences as follows: 3 in Qamishli city in 2012, 2016, and 2017; while the rest conferences took place in Qandil Mountains in the Kurdistan Region. These conferences did not witness any fundamental changes in the political project or the rules of procedures, except for, the special conference that was held on the 16/6/2012. As for the other conferences, the changes they presented will be discussed further in this study. On September 20, 2003, PYD issued two books entitled “PYD’s Project” and “the Founding conference’s decisions by PYD”. The first book is philosophical and historical rather than being political, as it focuses on the history of Syria and the Middle East through different ages(1) . The first page of this book includes the PKK’s history of the struggle for fulfilling the rights of Kurds(2) . Page 7 contains an almost explicit recognition that the PYD is the political wing of the PKK because the page says that: “there are some moral, political, social, historical, and leading values that our party was established upon. Also, our party has struggled for 30 years or more and achieved great goals(3) ”. Thus, the above-mentioned refers to the role of the PKK in this struggle. In page 34, the book addresses the Syrian affair and describes the coup conducted by Al Ba’ath Party on March the 8th as a “revolution”, it also talks positively about the role of Hafez Al Assad’s coup in 1970 by saying that: “Syria has achieved economic and functional developments after the 1970s, where many significant contributions have taken place in the Syrian society such as the free education, health and social insurance, labor laws, family benefit, and other laws related to improving the labor and employment levels. Further, the service sector has witnessed a notable development through opening the new road and paving them, extending the electricity and water networks, and building hospitals and schools in addition to clinics(4) ”. 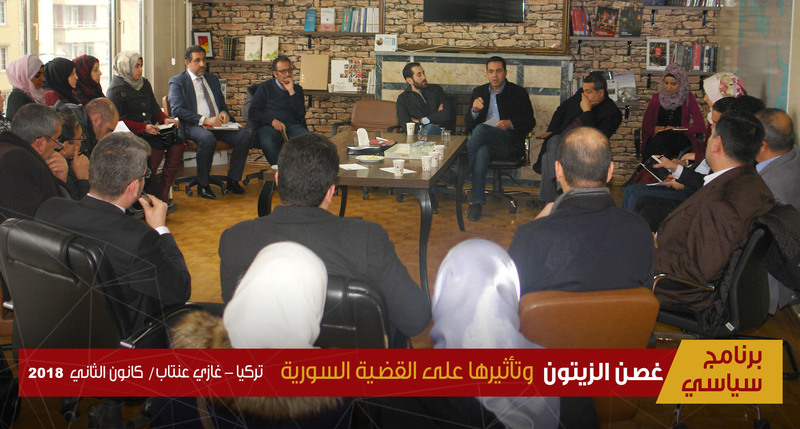 It is notable that, the book conveys the PYD’s positive position towards other national and extremist party (Al Ba’ath Party) and used the term “revolution” for the so-called contributions by this party in Syria. PYD’s project also praised Hafez Al Assad and justified the lack of any reforms in Syria during the past 31 years of his presidency by saying that: “the statesmanship of Hafez Al Assad made him able to realize the severity of the situation. However, the short time and the internal issues did not help him to conduct any reforms in the country”. Page 61 includes an article about the PKK and the democratic liberation, focusing on the struggle and sacrifice of the PKK for the sake of the Kurdish cause in addition to justifying the presence of the Kurdish party in Syria and Lebanon(5) . The article also praises the relationship between Abdallah Ocalan and Hafez Al Assad and includes it in the “wise decisions” by saying that: “the PKK’s wise positions have made neighboring countries reconsider their decisions towards our party especially, Syria; as Hafez Al Assad made sure to revive the cordial and historical relationships with the PKK in order to struggle against the mutual and historical (Oligarchy) Turkish regime in addition to strengthening our front against fascism and imperialism(6) ”. The third and final chapter of this book explains the PYD’s vision towards the solution in Syria and solving the Kurdish cause in this country, as it mentions many points as follows: a new Syrian constitution, improving the Syrian parliamentary system, conducting a judicial reform, modifying the administrative division in order to commensurate with the population census, lifting the state of emergency, drafting the Political Parties Act, drafting the media law in order to guarantee the freedom of the press, modifying the educational system so that the right of teaching the native language would be available to everyone, repealing all one-sided international and regional accords such as Adana agreement(7) , and recognizing the Kurdish identity at the constitutional level(8) . In light of explaining the nature of alliances and relationships with other sides, PYD calls for strengthening the relationship with the Arab world. Rather, it supports the presence of Arab unity that can lay the foundations of a Middle-Eastern democratic union, taking into consideration the peoples of the region’s reality(9) . It is notable that the PYD uses the term “south-west of Kurdistan” or “Başor Roajava yê Kurdistan” contrary to the current term which is “West of Kurdistan” or “Rojava” . Further, the word “PKK” has been repeated(10) almost 15 times in this book. As for the other book under the title “The Decisions Related to the Founding Conference of PYD”, it was closer to “PYD’s project” book and included the decisions of the founding conference in addition to clarifying the political trends of the PYD. Those decisions consider Abdallah Ocalan as the spiritual leader of PYD and a de facto leader of the south-west of Kurdistan(11) . Moreover, the decisions included the establishment of the Democratic Society Coordination Body that can become the supreme coordination body in the future and able to include the same number of democratic organizations, whilst this coordination can be formed by the gathering of the those organization’s representatives, who are able to present a certain approach to the democratic civilization(12) ”. Also, this project is related to the Movement for a Democratic Society (TEV-DEM) that was established in 2011 after controlling many Kurdish areas in Syria by the PYD. This movement includes many Kurdish organizations that are close to the PYD and should comply with the decisions of the TEV-DEM. It is notable to mention that the previous name of this movement was the Kurdistan Communities Union - Rojava (KCK), which was established in 2006 and its work mechanism was in compliance with the People conference’s method(13) . The establishment of the People’s Conference in 2003 by the PKK is a circumventing action for avoiding the categorization of this party as a terrorist organization by the U.S and Europe. However, the name “PKK” was adopted again in 2005; while the people’s conference continued to activate separately as a legislative authority that represents all its branches and organizations. As per the second book, the PYD believes that it is not possible to separate between the democratic transition in Syria and the Kurdish cause because they complete each other(14) . It should be noted that the PYD depended on the popular protests against Al Assad’s regime in 2011 and chose a policy known as “the third road” consequently, the PYD has separated the Kurdish cause from the democratic transition in Syria. Concerning the decisions related to the Kurdish cause in Syria, they were already mentioned in the first book such as “the struggle for providing social, cultural, and political rights for Kurds in Syria” and “Revocation of the extraordinary measures for Kurds(15) ”. 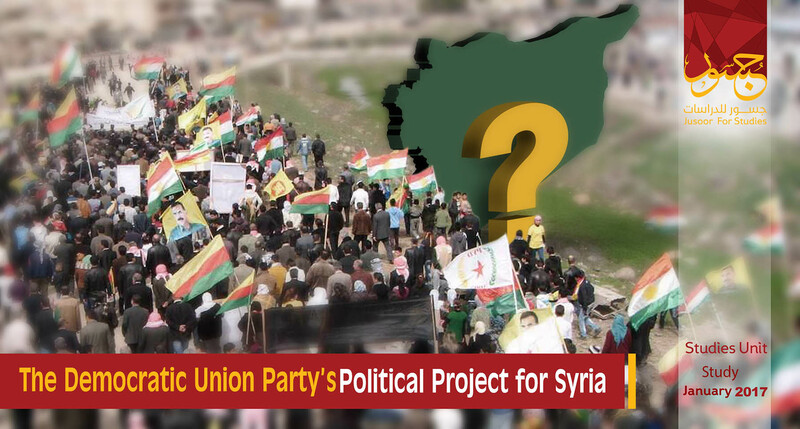 The PYD also focuses on two topics that are related to the “democratization of the society” and the “democratization of the State” along with presenting a solution for the Kurdish cause in Syria through stressing on the establishment of a confederation among the peoples of the Middle East thus, it can pave the way towards the emergence of a new system that can end the tyrannical reality in the Middle East. Amendments that took place before 2012 with respect to the PYD’s project have only focused on changing some terms, where during the third conference of PYD in 2007, it issued a project that can be considered as almost a historical and philosophical book rather than a political project, and we can note that the term “South-west of Kurdistan” or “Başor Rojavayê Kurdistan” has been changed into “West of Kurdistan” or “Rojava” and the latter is being adopted until this very moment(16) . The first pages of PYD’s first book describe the U.S as “the Empire of the Chaos(17) ”; while page 20 shows that PYD issued a statement in its third conference considering that solving the Kurdish cause in Turkey can pave the way towards solving the same cause in other countries, as PYD declared that: “the Kurdish cause in the north (Turkey) maintains its strategic and main role for developing the democratic solution in all Kurdistan, while the opportunity that Kurdistan Region has in Iraq does not nullify the strategic significance of the Kurdish cause in Turkey(18) ”. The first group has an affiliation with the U.S, Europe, and Israel and known as Iraq Kurdistan. Second Group: includes Kurds who have an affiliation with the security forces of different countries in order to attain wealth and authority. Third Groups: includes Kurds who have an affiliation to the PKK and seeks the democratization of Kurdistan(19) and the PYD has a place in this group. In page 27 of 2007 project says that: “it is time to realize the fact that violence and separation will not solve our problems…….but most importantly, we should be aware that nationalism and multiple ethnics can be the right path towards a rich and vivid life(20)”. There are some mistakes in this article that the PYD made with regards to its insistence of liberating Kurdistan through fighting Turkey, whilst the PYD’s project has changed after the peace talks between the PKK and the Turkish Government after assuming the authority by the AK Party in Turkey. However, the military conflict has reemerged after 2015 between the two sides. As for the Kurdish cause in Syria, PYD’s project in 2007 talks about the PKK’s struggle for fulfilling the Kurdish rights in addition to the positive impact of the PYD on the Kurdish scene in Syria(21). The PYD talks in a positive way about the relationship between Abdallah Ocalan and Hafez Al Assad, describing it as a technical relation(22) . Page 47 of PYD’s project shows geographical information about the Kurdish areas in Syria that are contrary to the PYD’s attempt of linking the three cantons (Al Jazira, Kobani, and Afrin) in Syria due to the lack of geographic unity between those areas consequently, the PYD prefers democratic and confederal solution in Syria and the Middle East. The above-mentioned realities in addition to the Kurdish presence in many Syrian cities show the importance of building a confederal and democratic system in all areas that include Kurdish people(23) ”. Chapter 3 of the PYD’s project mentions the political objectives of the Kurdish party in Syria, which can be summarized as reforming the system of the Syrian Arab Republic and the pillars of its central authority, drafting a new constitution, drafting a new law for the political parties at the democratic level, lifting the state of emergency(24), and other social and economic issues that have to do with the human rights. As for solving the Kurdish cause in Syria, the PYD thinks that it is vital to recognize the Kurdish identity at the constitutional level, unbanning of political parties, granting the local administrations a sufficient power in the Kurdish areas, recognizing the Kurdish culture and language, repealing the Arab Belt Project, nullifying the Special Statistics Act, the exercise of the right to education using the Kurdish native language, and considering the Kurdish areas such as Qamishli, Afrin, and Kobani as Kurdish Provinces(25) . The PYD also insists on imposing a certain equation in Syria which is: Democratic Syria + Self-governed and democratic Administration west of Kurdistan(26) . The PYD’s project deems Kongra Gel as its own legislative authority, while the Kurdish party declared its affiliation to KCK-Rojava(27) in 2006 in order to form a political umbrella for all parties that have an affiliation to the PKK in Syria under the title “TEV-DEM” nowadays. It is worth mentioning that the word “PKK” has been repeated in the PYD’s third conference 9 times and it was repeated 15 times in the PYD’s first conference. The political project of the PYD’s 5th conference on the 16/6/2012 did not witness any changes with regards to Syria or the Kurdish cause (in this country). While, the PYD insisted on the Kurdish equation in Syria, which is: Democratic Syria + Self-governed and democratic Administration west of Kurdistan(28), and considers the self-governed administration as a practical solution for the Kurdish cause in Syria(29) . Concerning the other issues in Syria, the PYD mentioned many solutions such as the transitional mechanism from the Syrian Arab Republic system to the Syrian democratic republic, lifting the state of emergency, the establishment of the constituent assembly for drafting a new constitution that can be in accordance with the democratic standards, reforming the administrative system in the Syrian provinces and areas so that a situation of conformity can take place between the self-governed areas and the Syrian towns and cities, and draft a new law for the political parties on democratic basis(30) . The 5th conference of the PYD addressed the topics related to the democratic confederation and the democratic emancipation, whilst its previous political project focused on the geographical reality in Syria that lacks geographic unity between the three Kurdish cantons(31). It can be seen that the decisions of the PYD’s 5th conference contradict the Kurdish party’s main goal of linking the three cantons in Syria together. The most prominent change in the PYD’s project is nullifying the term “PKK” in order to deny any connection between the PKK and the PYD especially, after holding the special conference that took place in parallel with seizing many Kurdish areas in Syria. However, the PYD’s project still recognizes Kongra Gel as the supreme legislative body for Kurds(32). 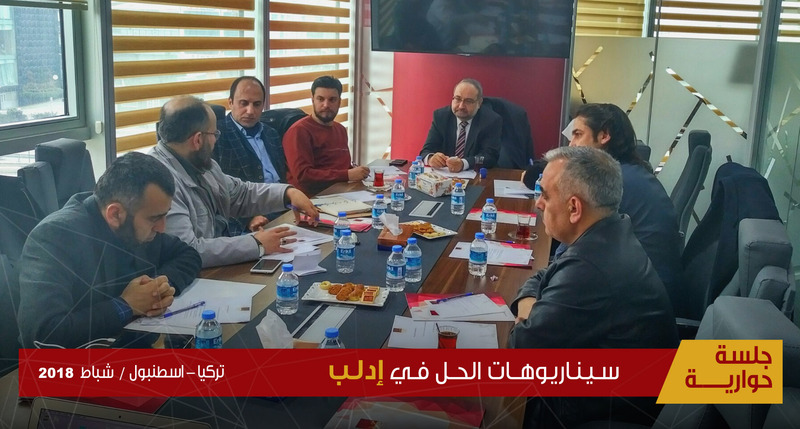 PYD’s political project after its 6th conference that was held in Rmelan city in Al Hasakah Province on the 20-21/9/2015 did not witness any change in regards to the political demands about Syria and the Kurdish cause, while it has kept the same sentences that had been used in the previous projects(33) . The most significant change during the 6th conference was repealing the role of Kongra Gel as a legislative body, keeping it as an effective body that aims at liberating Abdallah Ocalan from detention(34). The PYD also stresses on the necessity of unifying all Kurdish movements, democratic institutions, and popular forces with the Syrian Democratic Council(35). 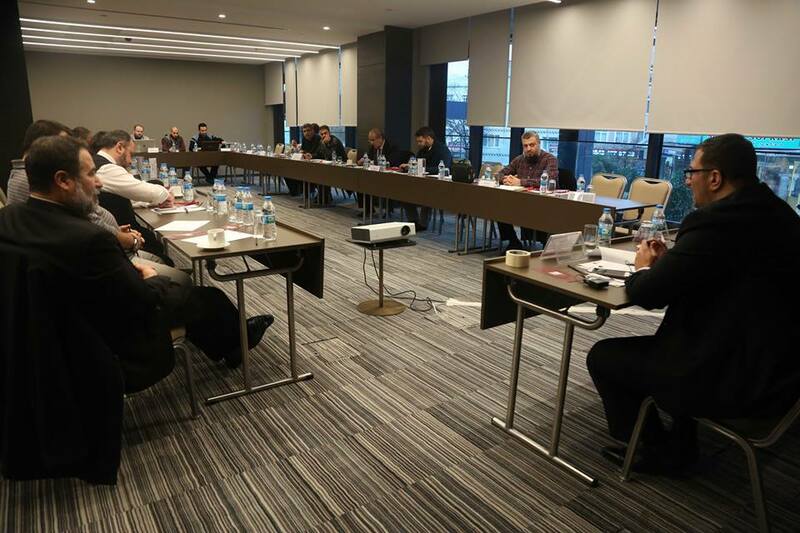 The PYD’s project of 2015 avoided the discussion of any topics related to the relationship between Abdallah Ocalan and Hafez Al Assad or even the role of the PKK in the region. In the 7th conference of the PYD that took place on the 28-29/9/2017 in Rmelan city in Al Hasakah Province, a new political project (the federal project) was adopted by the Kurdish party as a solution for the Syrian issue and the final statement of the conference included that the PYD emphasizes on its role for the success of the negotiating process and presenting a solution that can lead the Syrian crisis towards the right democratic and political path, which is based on the PYD’s democratic and federal project(36) . It is notable that such statement has been absent in all previous political projects of the PYD. This current change is in line with the political and geographical changes that Syria has witnessed lately rather than the outcomes of the PYD’s previous conferences. While the PYD has participated in the federal project even before ratifying it during the 7th conference. Rather, Saleh Muslim, PYD’s head has rejected the idea of federalism in Syria and accused those who implement such project of betrayal(37) . It seems that the federal project is being backed by the American administration through protecting it from the Turkish rejection or even providing the economic support that can be seen in the working mechanisms of American and European organizations who activate in SDF-controlled areas and executed projects for the infrastructure, which have been included in the humanitarian projects. Furthermore, the final foreign support took place when the international coalition officially declared its intention for backing the formation of border guard forces of 30000 personnel after cooperation with SDF, where these forces to be deployed along the Turkish and Iraqi borders with Syria(38) , which means that boots will be put on the ground around the geographical areas within the federal project soon. • The PYD tries to remove any aspects that can show its affiliation to the PKK especially, during the last two conferences, as the PYD did not mention the term “PKK” in the 2012 conference alongside removing the legislative authority from the Kongra Gel in 2015. • The PYD has removed the description of the relationship between Abdallah Ocalan and Hafez Al Assad that took place in its first project, whereby this relationship is included in the Arab-Kurdish relationships. Whilst, this procedure has taken place after accusing the PYD of forming an alliance with the Syrian regime. • The PYD has kept the concept that Abdallah Ocalan is the spiritual leader of the Kurdish party. • The PYD uses the terms “Democratization of society” and “Democratization of the State” more frequently. • There is no hostile tone in the PYD’s project towards Turkey. However, the project stresses on the Turkish oppression towards Kurds only, while it mentioned the Iranian repression once, using the word “Persian” instead of the name of the country. 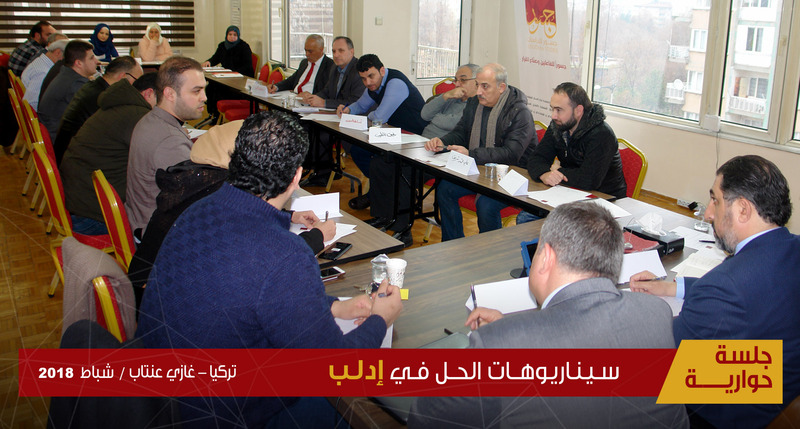 • The PYD’s project did not convey any messages about the establishment of a federal system in Syria, while this measure was added in the 2017 amendments despite the fact that the first conference about federalism in Syria took place on the 16/3/2016 in Rmelan city, which means that the PYD did not have any intention to adopt this solution in Syria and the implementation of such process was due to a request from the PKK. The first part focuses on the military and political developments in Syria and SDF-controlled areas in addition to YPG-controlled areas, whilst the PYD did not give any attention to other regions in this country. The PYD also turns a blind eye on the violations committed by Al Assad’s forces because there are no statements that denounce such violations by the Kurdish party, except for, some declarations that did not focus on the perpetrator such as the PYD’s statement after using the chemical weapon by Al Assad’s forces in Khan Shaykhun in April 2017, as the statement did not specifically mention the perpetrator of this massacre(39) . The second part has an interest in the political and military events in Turkey, which is similar to the situation in Syria, whereby the PYD follows every single event in Turkey and uses these events as a tool for organizing demonstrations or issuing statements such as demanding the release of Kurds prisoners from the Turkish jails, while it did not mention anything about the Syrian regime’s prisons or even the detained Kurds in those prisons(40). The PYD organized demonstrations against the referendum and the constitutional amendments in Turkey that took place on April 16, 2017 (41), but it did not organize any protest against the elections or the constitutional amendments that the Syrian regime has conducted recently. The results show that the words “Syria” and “Syrian” are being slightly used more than the words “Turkey” and “Turkish” because the term “Syrian” can be related to the “Syrian Democratic Forces” thus, the presence of this word in the website does not convey the PYD’s interest in the Syrian affair. On the other hand, the word “Erdogan” has been used four folds comparing to the word “Al Assad” in the PYD’s website. While it has been used three folds in Hawa news agency site see figures 1 & 2. It should be indicated that the repetition of the word itself may show the degree of interest without determining the position of the PYD, as analyzing such process is complicated. Moreover, it can be seen that the negative characteristics are being used with the word “Erdogan” every single time contrary to the situation with the word “Al Assad”. The PYD’s policy includes a comprehensive project for the mass demonstrations, where the Kurdish areas witness daily demonstrations organized by the official Kurdish institutions that are related to TEV-DEM, as the same slogans and chants are being used by demonstrators. Further, meetings with officials from the PYD and the self-governed administration take place. After an observation for demonstrations by Jusoor for Studies Center between the 1/1/2017 and the 31/12/2017, 568 demonstrations took place and 70% of them were related to the PKK, Abdallah Ocalan, and the Turkish affair (see table 2). This observation also determines a complete ignorance of Al Assad’s forces’ violations during those mass protests, except for, two demonstrations that chanted against Bashar Al Assad’s statement because he accused SDF of betrayal, end of 2017. Through reviewing the PYD’s policies, there is a clear connection with the PKK, whilst the political project of the PYD reflects a contradicted position towards Turkey because it has only included the country’s name within the list of countries that control Kurdistan and oppress Kurds. On the other hand, PYD’s main position focuses on opposing the Turkish policy rather than the Syrian regime’s policy. It seems that PYD broke away from the PKK in 2012 in order to form an alliance with the U.S or it is even possible that the disengagement took place due to a request from the U.S Administration in order to alleviate the Turkish pressure and because Turkey deems the PKK as a terrorist group. • The de facto leaders of the PYD are those who have an affiliation to the PKK thus, the disengagement between the two Kurdish parties should take place after the approval of the PKK, while such disengagement is unlikely to happen because of the gains on the field that PYD has achieved during the past years. • The ideology of the PYD is based on the ideology of the PKK consequently, the disengagement between the two Kurdish parties means that the PYD must be dissolved in order to establish a new Kurdish party with a new ideology, which seems difficult at the practical level. • The presence of PKK-affiliated groups and organizations in the Kurdish areas in Syria such as “the Rojava Youth Union” or “Ciwanên Şoreşger” poses a threat to the political trend of the PYD. Ciwanên Şoreşger is led by youth cadres who have an affiliation with the PKK, as they kidnap and conduct violent actions against those who oppose the PKK’s policies. Further, members of Ciwanên Şoreşger may target PYD’s cadres if they want to break away from the PKK. • Even if the disengagement took place between the two Kurdish parties, it would be partial because the trends of the PYD’s leadership will remain the same due to their long-term experiences with the PKK at the emotional and partisan levels. It seems that the PKK seeks to achieve two gains in Syria through the PYD’s presence, which are as follows: keeping the military and political gains in the Kurdish areas in Syria and impose pressure on Ankara through targeting Turkey by media and political campaigns thus, the Turkish Government will be forced to offer concessions. Moreover, the PKK tries to change its ideology in order to gain American support that can protect its military achievements in Syria. • The first project of the PYD shows the close link with the PKK through highlighting the latter’s role in solving the Kurdish cause. • Despite the removal of “PKK” term from the PYD’s political project, media and political policies of the PYD do not refer to the presence of any disengagement between the two Kurdish parties. • PYD’s activities were far from the Syrian issue especially inside Syria regardless whether the targeted side is the Syrian regime or the Syrian opposition despite the fact that PYD’s project focused on the Syrian issue in general and the Kurdish cause in particular. • It is obvious that the hostile position towards the Turkish Government is greater that PYD’s position towards the Syrian regime despite the Kurdish party’s endeavors for democratizing the Syrian State and society. 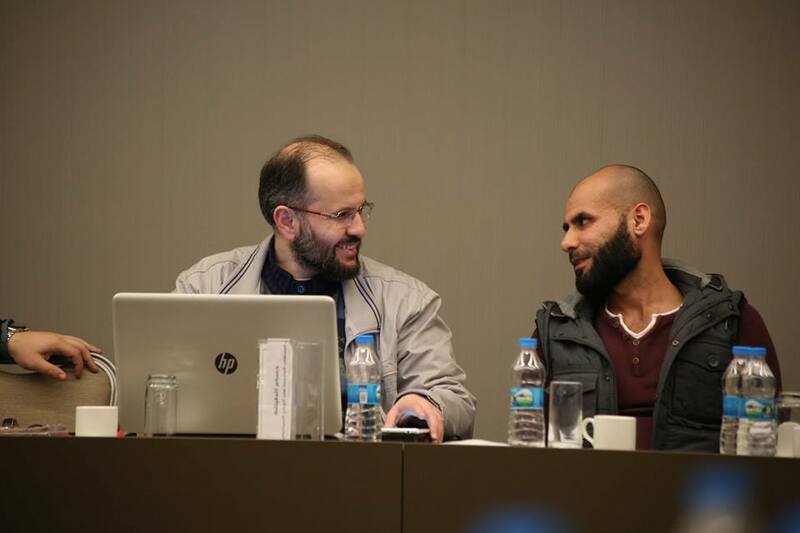 • The categorization of the Syrian opposition by the PYD has to do with the nature of the relationship with Turkey rather than the Syrian regime. • The American pressure is the main key to the practical and theoretical return of PYD to the Syrian Arena. Such pressure is anticipated so that the U.S can preserve its new allies in the region. However, the possibility of success with respect to the American pressure is low. 1- PYD’s project, PYD’s brochures, Azadi press, October 2003, page 30-32-39. 2- The same source. Page 1. 3- The same source. Page 7. 4- The same source. Page 43. 5- The same source. Page 61-62. 6- The same source. Page 74. 7- Adana agreement states in one of its clauses that Syria must hand over the PKK’s cadres, who were detained in Syria, to Turkey in addition to banning the Kurdish parties’ activities in Syria. 8- PYD’s political project, page 103-104-105. 9- The same source. Page 112. 10- The same source. Page 4 and 6. The term is being used a lot in this booklet and the pages’ numbers is a clear example. 11- The decision of the PYD’s founding conference, PYD’s brochures, the second book, Azadi Press, October 2003, page 2. 12- The same source. Page 5. 13- The same source. Page 5. 14- The same source. Page 7. 15- The same source. Page 9. 16- PYD’s roles of procedures and political project, from one of PYD’s writings, Book 6, the first edition, April 2007, page6. 17- The same source. Page 7. 18- The same source. Page 20. 19- The same source. Page 21. 20- The same source. Page 27. 21- The same source. Page 34. 22- The same source. Page 37. 23- The same source. Page 47. 24- The same source. Page 54. 25- The same source. Page 60. 26- The same source. Page 28. 27- The same source. Page 63. 28- PYD’s roles of procedures and political project which was ratified during the 5th conference in Qamishli on the 16/6/2012, page 43. 29- The same source. Page 45. 30- The same source. Page 50-51. 31- The same source. Page 44. 32- The same source. Page 61. 33- PYD’s roles of procedures and political project which was ratified during the 6th conference on the 20-21/9/2015, PYD’s publications, page 14. 34- The same source. Page 54. 35- The same source. Page 47. 37- Saleh Muslim statements between 2012 and 2013, which are related to a certain Kurdish news site.